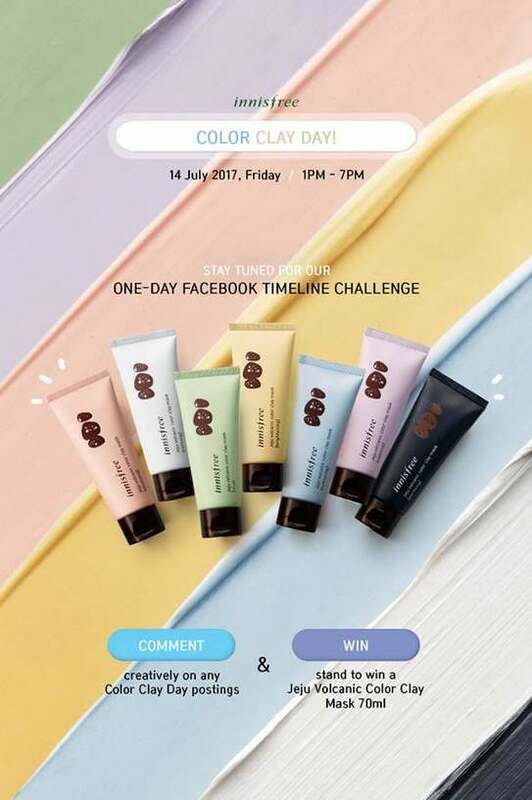 ?COLOR CLAY DAY 14 JULY 2017 ? Save the date on 14 JULY 2017 because we have an #inniEvent you wouldn’t want to miss! ? COLOR CLAY DAY is happening and we are giving 7 lucky fans a chance to bring home 1x Jeju Volcanic Color Clay Mask 70ml – that’s the full-sized product! ? All you have to do is COMMENT creatively according to each hour’s challenge post from 1PM – 7PM, Friday (14 July 2017). Quick, tag your friends to keep an eye out for it! See you on Friday!